Ships today if you order in the next 1 hours 27 minutes. We all do it. In fact, the average person passes gas as many as two dozen times a day. It may be a natural function of your body - but it's still awfully embarrassing. What if you could basically clear unwanted smells from your intestines instead of clearing the room? 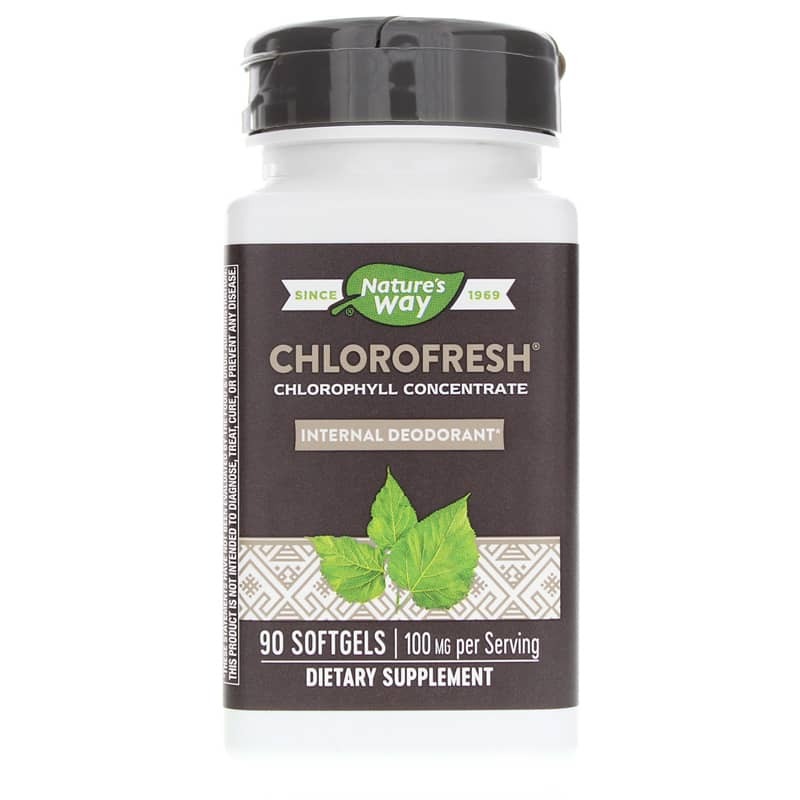 Chlorofresh from Nature's Way is a supplement intended to potentially lessen digestive tract odors. Having bad gas doesn't necessarily mean you are unhealthy. But it can be a personal problem that leads to uncomfortable situations. Decreasing the amount of protein in your diet may help, as can adding more leafy greens to what you eat. That's because those greens contain chlorophyll. Chlorophyll is concentrated in this product. You're probably familiar with it as the pigment that makes plants green and helps them with photosynthesis. It can act as an antioxidant, potentially neutralizing and deodorizing your intestines and colon. 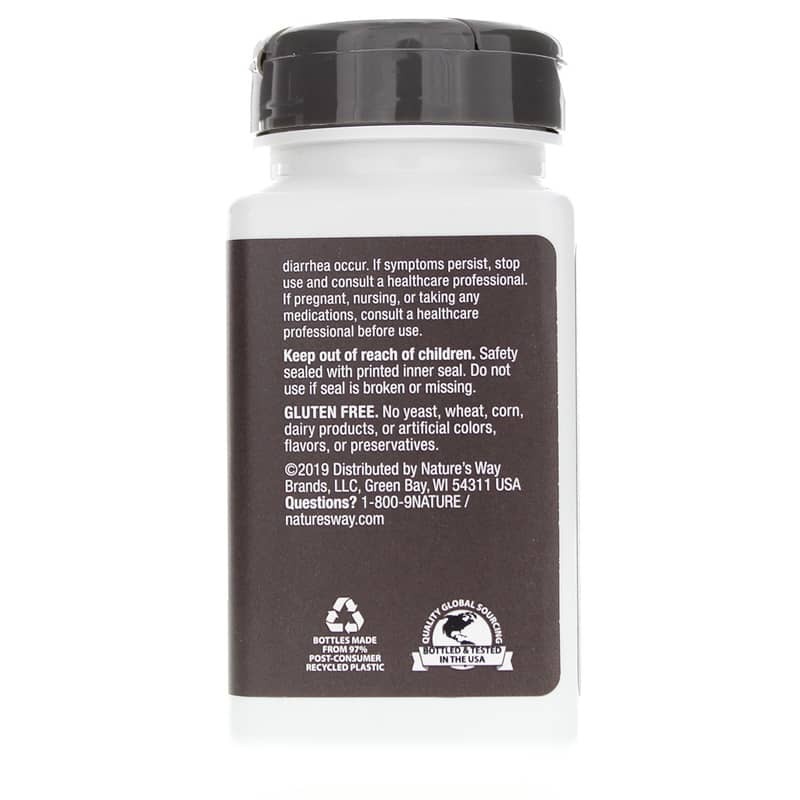 Other Ingredients: soybean oil, gelatin, glycerin, yellow beeswax, purified water, soy lecithin. 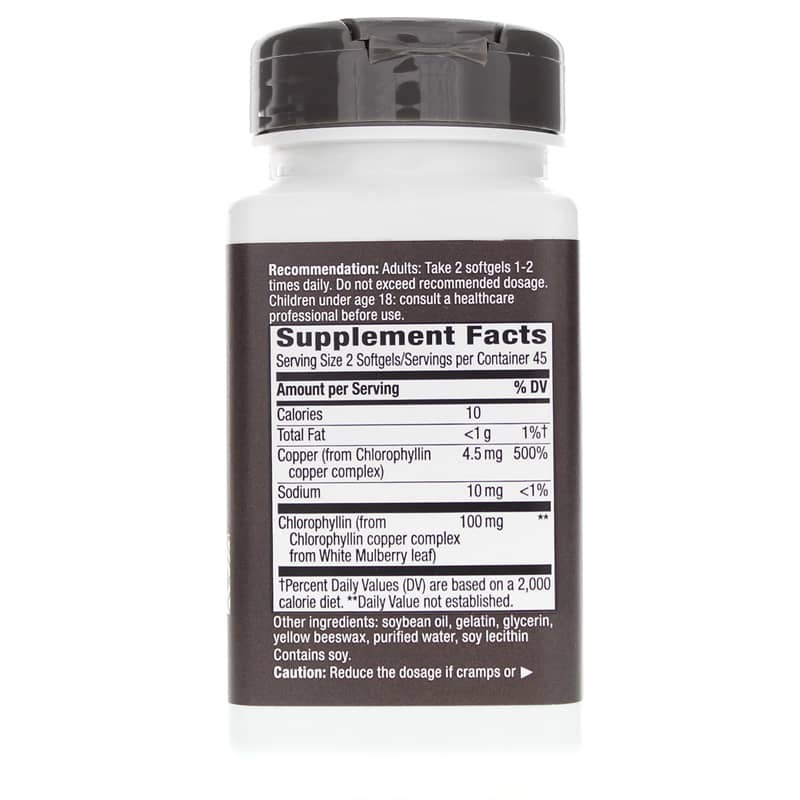 Reduce the dosage if cramps or diarrhea occur. If symptoms persist stop use and consult a healthcare professional. Consult a healthcare professional before use if you are pregnant or nursing or taking any medications. Keep out of the reach of children.